In partnership with the Arab American National Museum (AANM), Michigan Opera Theatre (MOT) delivered its successful Create and Perform programming to a class of middle school students in the Dearborn Public School District. 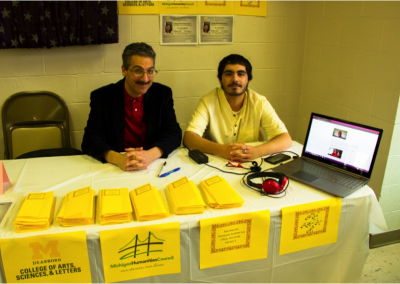 Dearborn has the highest concentration of Arab Americans in the United States and the school district has an Arab American student population of nearly 84 percent. 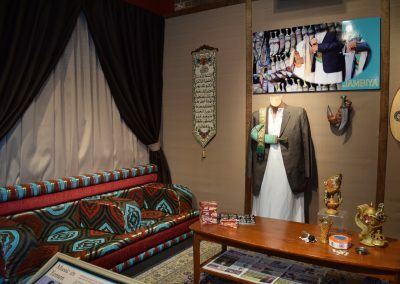 The goal of “Create and Perform: A Cultural Collage” was to use art and artistic expression to explore local Arab American culture, history, and community, filtered through the eyes and experiences of Dearborn teen and pre-teens. 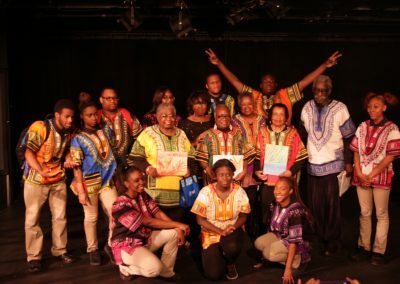 Over a series of 30 school sessions, students worked with multiple professional artists and educators to create an original performance piece using MOT’s method of arts-infused education and collaborative creation. The students used art to generate a production that focused on their own cultural questions, observations, and stories.